The Palestinian national office for the defense of land and resistance of settlement said Saturday that Israeli military training in Jordan Valley aims at confiscating large dunums of the area. The office pointed out that the Israeli military drills came as part of the Israeli government’s displacement policy which aims to displace Palestinians from the Jordan Valley and confiscate their lands. On the other hand, the office warned of a new settlement plan to build a new illegal settlement at the expense of Palestinian-owned land estimated at 170 dunums south of occupied Jerusalem. The new plan includes the establishment of 493 housing units and a synagogue. An Israeli report has recently revealed that 78% of the alleged military zone declared since 1967 are used for settlement expansion. 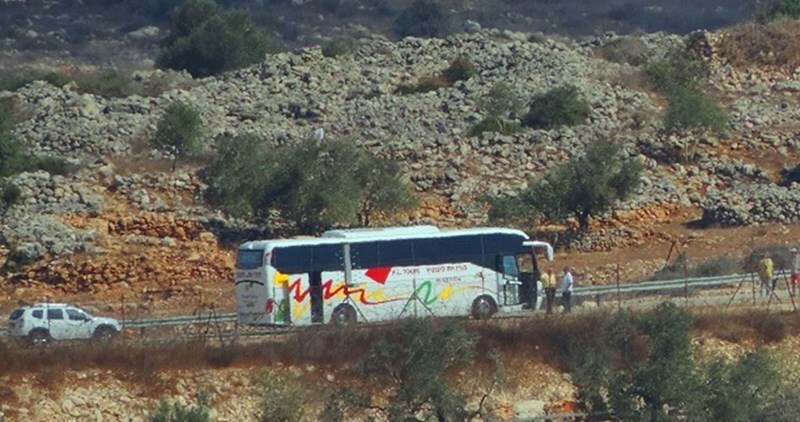 Israeli settlers from Bdo'ial illegal settlement pumped Saturday morning wastewater into olive fields north of Salfit, eyewitnesses reported. 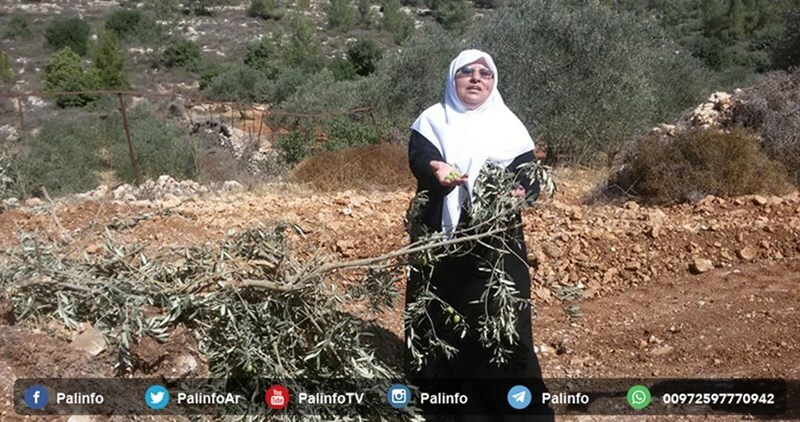 The sources told the PIC reporter that severe damage was caused due to the settlers’ practice. The local activist Khaled Maali pointed out that 24 nearby settlements’ wastewater has been polluting Salfit over the past years and the situation is getting worse. The waste problem is now creating a major health problem to Salfit’s residents, he said, adding that the practice is a flagrant violation of international conventions. “The industrial refuse from Israeli factories and the wastewater from the neighboring settlements have increased. Our crops are unsafe to eat and our livestock are threatened. Children are suffering from skin and stomach illnesses. The smell is foul and we have a problem with insects. Most of the dumping of waste is deliberate,” locals complained. They also appealed for the protection of their natural springs and archaeological sites from settlers’ almost-daily attacks. 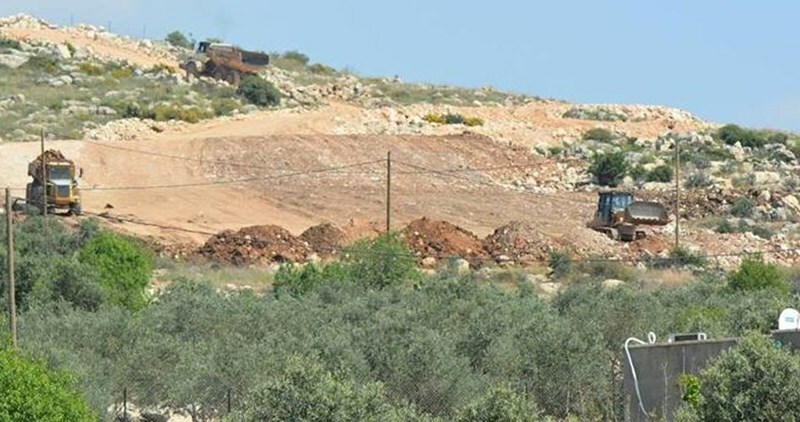 Israeli bulldozers on Friday morning continued to destroy, under military protection, Palestinian agricultural lands and pastures in Deir Ballut town, west of Salfit city. 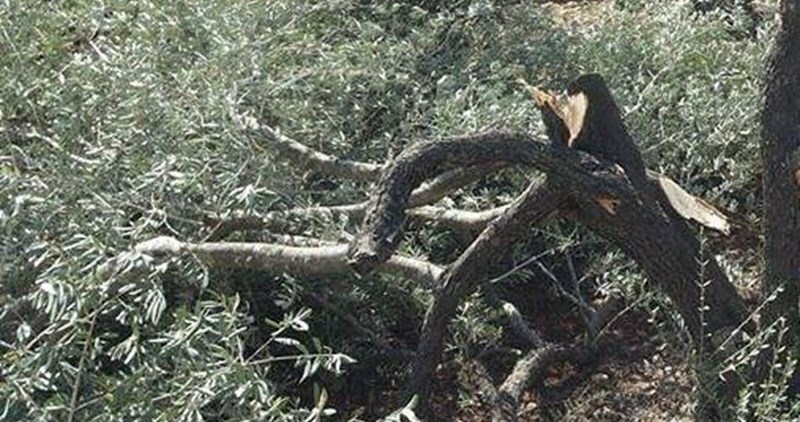 Local sources said that the Israeli army prevented farmers and landowners from approaching the area as bulldozers were embarking on leveling their land and uprooting trees. One farmer was reportedly assaulted and arrested a few days ago by Israeli soldiers as he was trying to reach his land. These land bulldozing activities have been taking place in Bab al-Marj area to the east of the town, according to the sources. Between 26 and 28 September, the Israeli authorities demolished 33 residential and livelihood-related structures in multiple locales across Area C and East Jerusalem, on grounds of lack of building permits. As a result, 35 people, a third of them children, have been displaced, and more than 100 have been otherwise affected. A number of Israeli bulldozers were seen leveling Palestinian-owned land Thursday morning in Hizma town northeast of occupied Jerusalem before demolishing its surrounding walls. 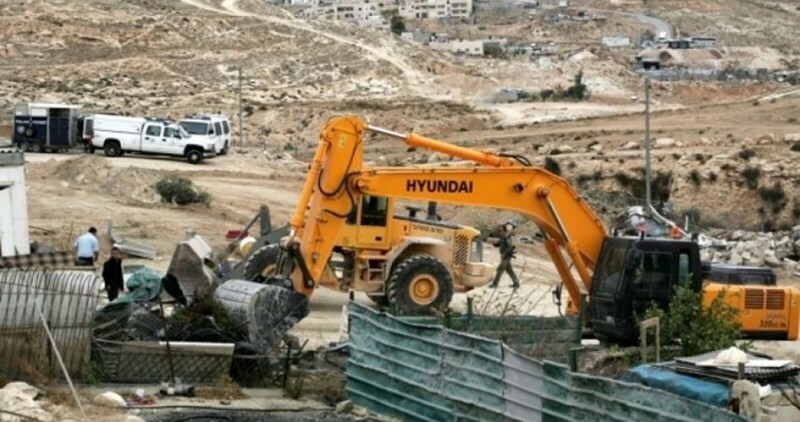 Head of the local council Mouwafaq Khatib affirmed that Israeli municipal crews stormed the area this morning and started leveling a nearby land owned by the citizen Fares Salah al-Din. 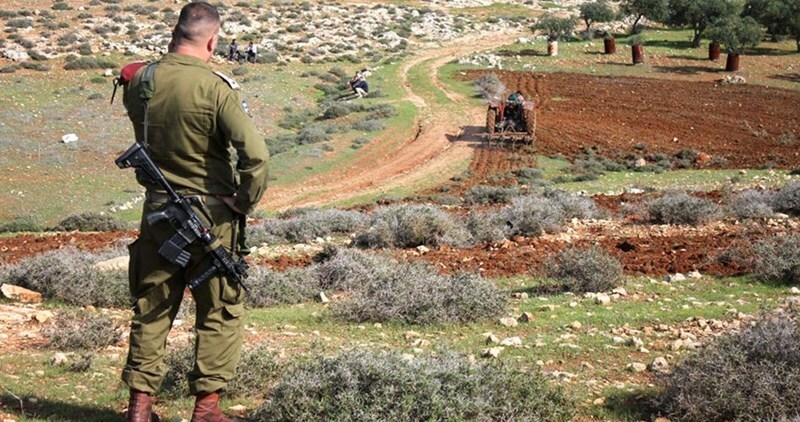 Israeli forces had earlier demolished Palestinian agricultural facilities in the area, he pointed out. The land’s owner tried to stop the bulldozers, but the Israeli forces completed leveling the land before leaving the town. According to a report issued by OCHA, Israeli demolition policy has increased by 60% in the occupied West Bank and Jerusalem since the beginning of the year. More than 878 Palestinian facilities were demolished or confiscated by Israeli authorities during the reported period. A Jerusalemite citizen was forced Wednesday morning to demolish his own house in Beit Hanina, north of occupied Jerusalem. The Jerusalemite Imad Jaber was forced to demolish his 70-meter-square house under the pretext of being built without permit. “I demolished it with my own hands to avoid paying over NIS 70,000 ($18,000) in demolition fees if Israeli bulldozers demolished it,” he said. This came few days after a spate of demolitions of Palestinian properties by Israeli forces across the occupied city. 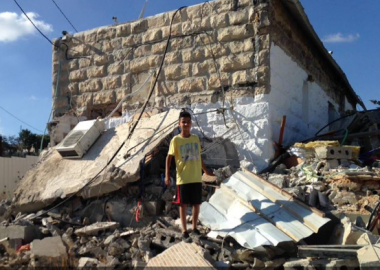 Since the beginning of the year, 175 Palestinian facilities were demolished by Israeli forces in the holy city. 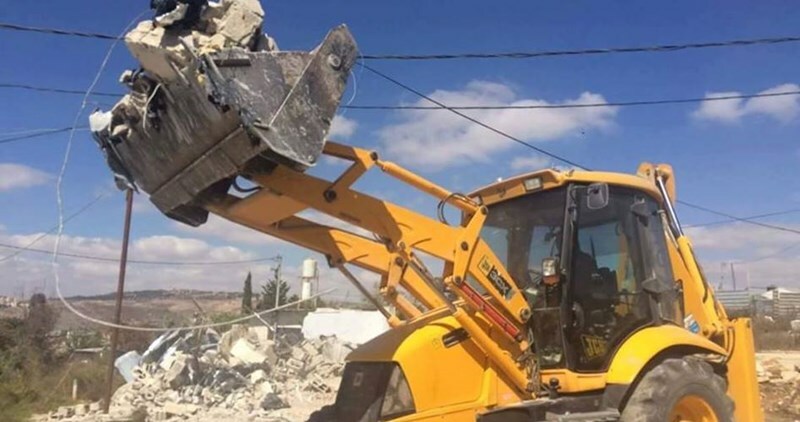 Israeli soldiers and several military bulldozers invaded, on Tuesday afternoon, Beit Jala city near Bethlehem in the occupied West Bank, and partially demolished a Palestinian home. 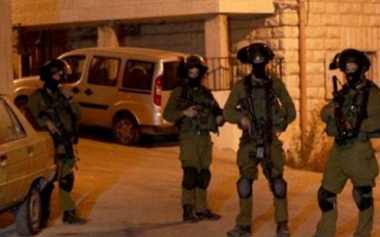 Resident Sa’id al-Qassas, the owner of the partially demolished building, said the soldiers, accompanied by military bulldozers, invaded the area and forced him and his family out of their property, before demolishing a bedroom, toilets and a living room. He added that his home, built on his own land, is close to the Gilo Israeli colony, largely built on private Palestinian property. 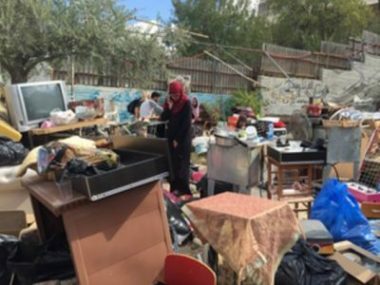 Al-Qassas stated that the soldiers prevented him and his family from removing their furniture out of the property, while Jerusalem City Council employees partially removed furniture before demolishing the rooms. He also said that the demolition and the rubble covered the remaining part of the home. It is worth mentioning that, nearly 18 years ago, the soldiers demolished 80-square meters of his home, consisting of a living room, a bedroom and a bathroom. In 2014, the Israeli authorities imposed a fine of 20.000 Shekels on the family for not demolishing their property, and later invaded the area and photographed the property’s interior and exterior. Al-Qassas said that the today’s destruction of his property was carried out without a prior notice. Israeli soldiers invaded, on Tuesday morning, the at-Tour village, in occupied Jerusalem, and demolished four Palestinian apartments. 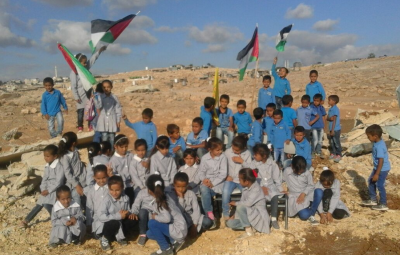 The army also demolished a classroom in Abu Nowwar Bedouin community, east of Jerusalem. Local sources said several armored military vehicles, and bulldozers, invaded the village, after surrounding it from all directions. 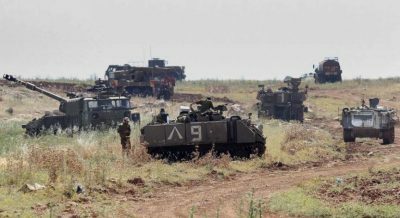 The sources added that hundreds of soldiers were deployed in at-Tour, and around it, completely encircling it, and prevented the Palestinians from entering of leaving. The soldiers then demolished four apartments belonging to Ahmad Abu Al-Hawa, and his brothers; the building was constructed and furnished five years ago. Abu al-Hawa said the army is implementing the Israeli policies targeting the existence of the indigenous Palestinians in the occupied city, by constantly demolishing homes and structures. The representative of Abu Nowwar Bedouin community Daoud al-Jahalin told the WAFA Palestinian news agency that the classroom used to provide education to 45 boys and girls. He added that, several days ago, the soldiers photographed the classroom, after invading the local school. Al-Jahalin stated that Israel is trying to remove the community from its 500 Dunams land, that belong to Abu Dis town, so that it can build and expand the illegal colonies in the area, as part of the E1 project which will eventually isolate the northern part of the West Bank from the south. He also said that around 600 persons live in Abu Nowwar, and are facing displacement, especially after Israel issued more than 250 orders to remove them and confiscate their lands.